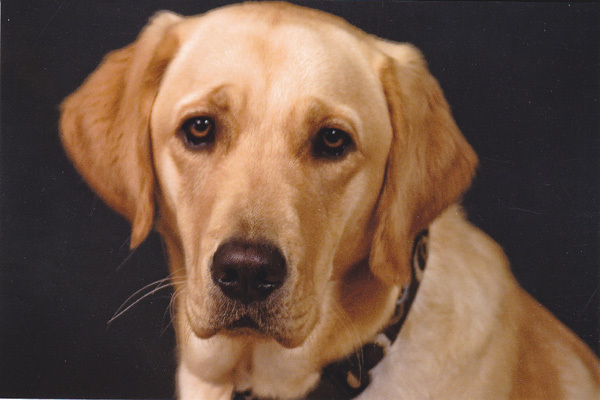 There’s less than one month remaining before the next class of dogs will be graduating up in Oceanside, and we have reason to hope our beloved Mr. Brando will be among them. This is unprecedented (for us! ), and it feels like a very big deal. We know that unforeseen circumstances can arise, and he could still be released right up to graduation day (Friday, August 12). But he’s one of the most charming and lovable dogs I’ve ever known; it’s getting harder and harder for me to imagine CCI would ever let go of him. Better late than never: the CCI Puppy Precision Drill Team performed this year on the Fourth of July, Darby’s 6-month birthday. This meant she was eligible to participate on what turned out to be a picture-perfect Independence Day. 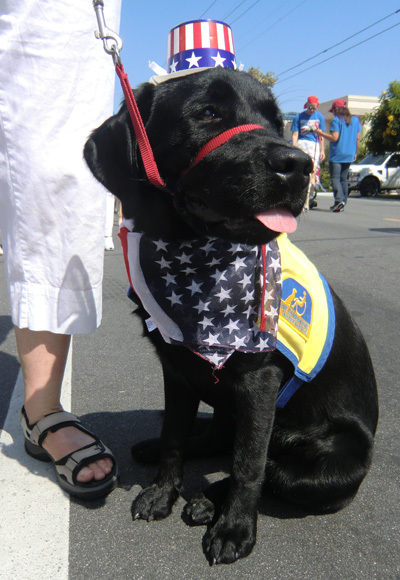 Drill team founder and organizer Pattie Urie created stylish patriotic toppers for all the dogs, and if our moves weren’t quite as synchronized as we all would have liked, the huge crowd still seemed dazzled by the pups. Still, that was work, for the dogs. 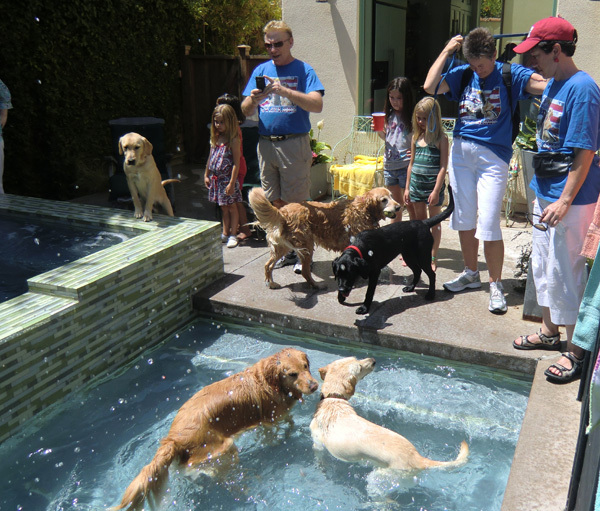 But the party that followed at puppy-raiser Jeep Rice’s house was pure ecstasy. 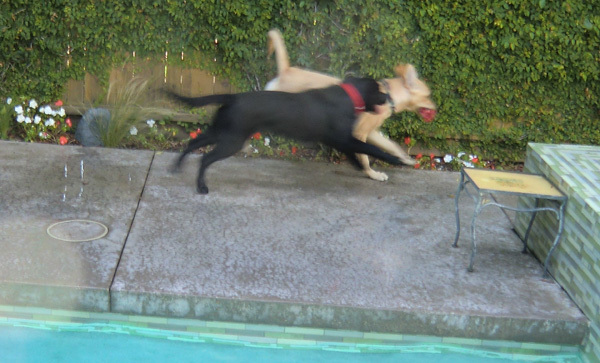 Darby couldn’t believe her eyes: at least a dozen pups to romp with, most of whom dove into Jeep’s pool with gusto. 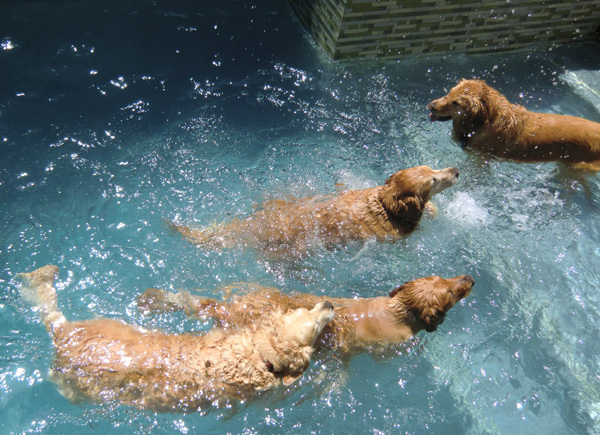 To my surprise, Darby wasn’t tempted to join them, so maybe she won’t be a water dog after all (following in the footsteps of Tucker, Yuli, and Brando.) I know that’s a good thing; having her taking dips in our pool at will would definitely complicate the already daunting task of keeping the house from descending into chaos. But it looked like SO much fun!